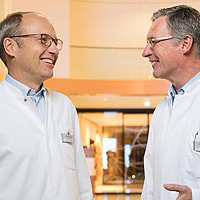 Medical specialists and specialty clinics in Heidelberg recommended by senior consultants in Germany can be found in the Leading Medicine Guide. You can find experts in Heidelberg to treat your illness and you may contact them directly. Heidelberg is situated on the Neckar River and is home to about 147,000 residents including over 32,000 students. Every year several tourists from all over the world visit Heidelberg to witness the city’s main attraction the famous Heidelberg castle overlooking the Neckar and the old town. Tourists also find the old town with its beautiful historic buildings and the old bridge with its arched gateways very appealing. 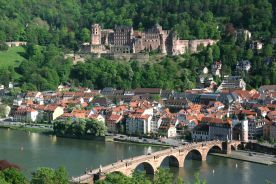 Heidelberg is also known for the Ruprecht-Karls-University, the oldest university in Germany founded in 1386. As a healthcare location, Heidelberg is known throughout Germany and far beyond. The University hospital with its 14 clinical departments is among the largest and the most renowned medical centres in Germany. About 700,000 patients are treated there every year. The Leading Medicine Guide shows you a selection of doctors and clinics that are ranked among the medical practitioners or specialty clinics in Heidelberg.